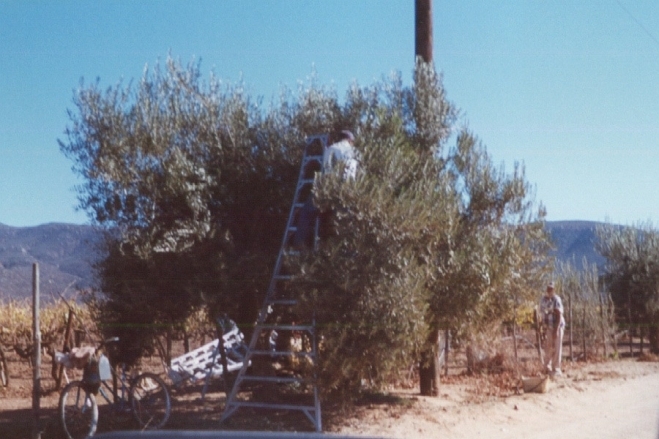 If you look carefully at the photo above, you will see one of the Seagate farm employees on a ladder pruning one of the olive trees located along the side of one of Seagate’s farms. This photo was taken during a dry summer month, when the interior of Baja California has daytime temperatures averaging over 100F, and typically there is zero rainfall for 4-6 months. Winters in Baja California are relatively mild and are considered the “rainy” season. Rainfall increases to an 1 inch per month and daytime temperatures drop into the more pleasant range of 50-70F. 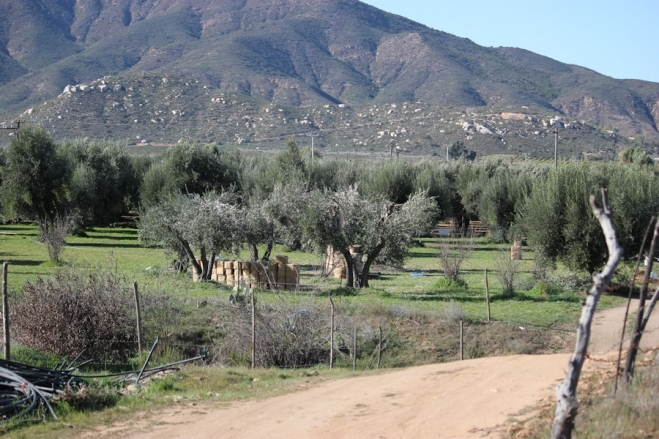 The photo of the olive trees above shows a greener landscape due to recent rain. 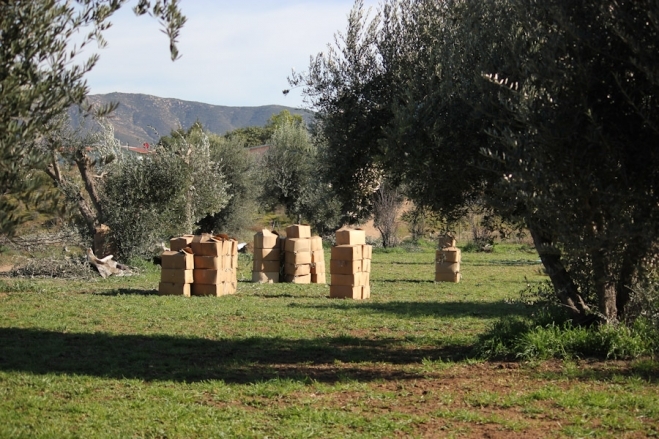 The boxes alongside the trees are filled with olive leaves that Seagate gathers during the months of December-March. Seagate began operations in 1981 as a fishing company in Baja California with an office (located in Richard’s garage)in San Diego. By 1993, Seagate entered the health food industry and in 1997 began commercial farming. The interior range land of northern Baja California is a very dry, dusty, and windy place. In order to protect our crops from damage and erosion, a series of olive trees were planted along the periphery of the fields. Theses tree are hardy, need no fertilization and very little rain. Thousands of years of natural selection have made these trees resistant to attach by insects, bacteria, fungus, and parasites. The location of Seagate’s tree operations is in the remote interior of of Baja California. There are no cities and very few people in this area. Notice the barren landscape in the background of the photo above. The object of this exercise is to obtain fresh olive leaves that are free of all chemicals. These leaves are trucked to the Seagate factory located in Ensenada where they are emptied into a perforated stainless steel wash tank prior to processing. Although Seagate may have begun as a fishing operation, we are now identified as a major processor of olive leaf extract with over 15 different products derived from our olive leaves and olive oil. Seagate has been producing small volumes of bulk olive oil for testing the new machinery in advance of the 2013 season when commercial production of olive oil for distribution in glass bottles is planned to begin. This week’s fish picture is the Blackbar Soldierfish. In underwater photography as a rule, for every100 photos taken, there may be one good shot. The Blackbar Soldierfish above was curious to approach the camera and “smile”. Okay maybe he was not smiling. The best fish photos capture the subject’s eyes looking back toward the camera. There are many other factors involved such as lighting, strobes, neutral buoyancy of the diver, background and having the fish cooperate, that help to make the occasional good picture.